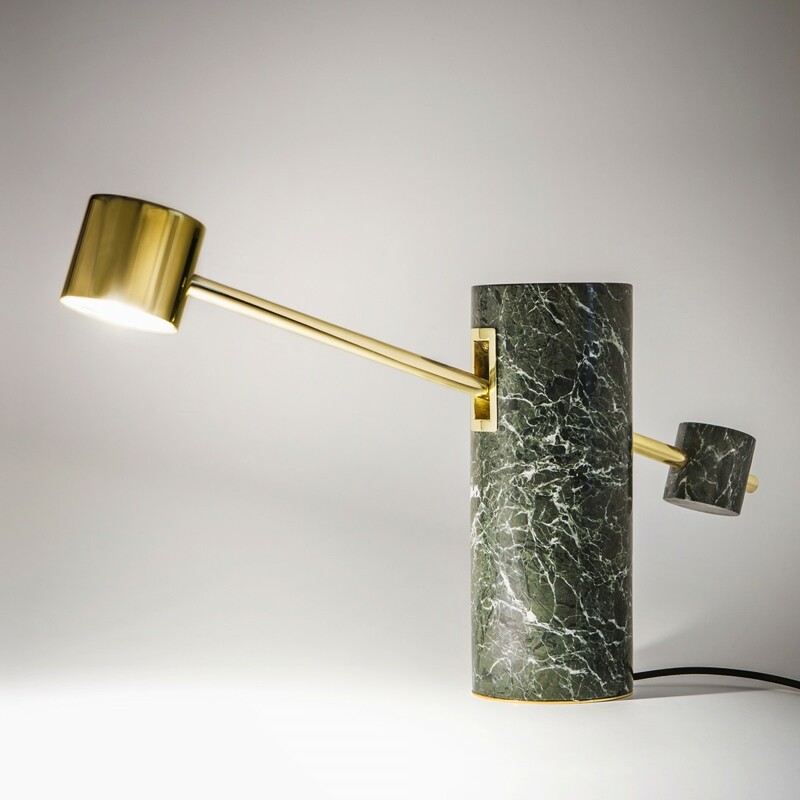 Based on the law of the lever, the BOWING LAMP, combines the beautiful marble of Tinos with a copper platted stainless steel construction. A metallic bar penetrates the solid marble cylinder. A marble weight and the light source are placed diametrically opposed on the bar. The metal connection on the center of the cylinder allows the bar to move vertically the light and lets it balance on the suitable height.